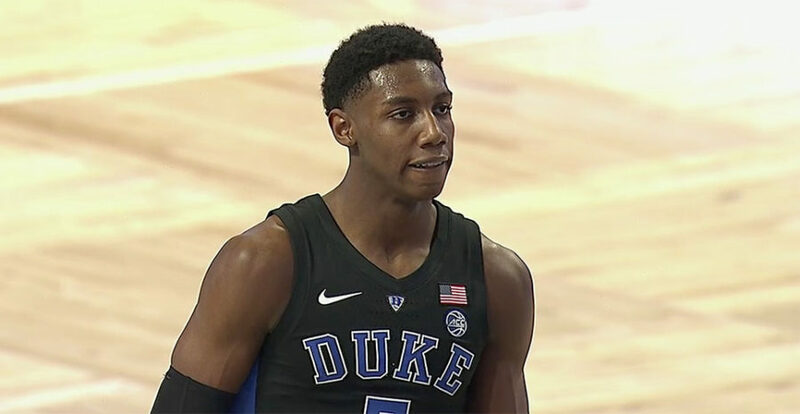 Barrett, who made 6 for 10 from 3-point range, including his first five tries, also grabbed seven rebounds for Duke, which raced out to a 19-9 lead in the opening eight minutes. Zion Williamson had 18 points with five rebounds, five assists, three steals and three blocks, while Cam Reddish hit 5 of his first 6 shots from long-range to finish with 17 points for the Blue Devils (21-2, 9-1 Atlantic Coast Conference), who shot nearly 62 percent (13-21) from 3-pointers. Tre Jones, who missed Duke’s win in the first game, contributed 13 points, seven assists and six rebounds, while Marques Bolden played a big role at both ends of the court for the nation’s second-ranked ball club. Kyle Guy and Ty Jerome scored 16 points each to lead Virginia (20-2, 8-2), which trailed 39-35 at halftime. De’Andre Hunter scored 11 points and Braxton Key had 10 rebounds for the Cavaliers, who saw their 13-game home winning streak snapped. Virginia heads to Chapel Hill to play No. 8 North Carolina on Monday night.